The Black Sea Coast of Bulgaria in August is deliciously hot with long days of sunshine, although the weather is actually pretty warm and dry from May to October. Well established beach resorts suitable for all ages include Albena, Golden Sands, Nesebar and Sunny Beach, all of which have lovely sandy beaches and a scenic backdrop of greenery; plenty of watersports, children's entertainments, bars and restaurants. 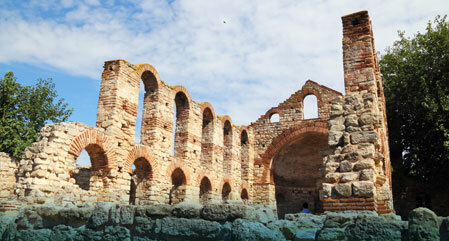 Quieter and slightly more elegant and scenic resorts include Obzor, St Constantine & Helena and Sveti Vlas. Step back from the beaches and explore the Old Town of Nesebar, visit the cultural and historical attractions of the beautiful city of Varna and observe the wildlife at the lakes surrounding the vibrant and cosmopolitan port city of Bourgas. Enjoying warm weather all year round, August in Tenerife is one of the driest and hottest months of the year, with the longest hours of daily sunshine. Catering well to holidaymakers of all ages, the well established resorts in the south of the island run one into the next and boast long sandy beaches. You can walk along the beach all the way from the wide sandy bay in the harbour resort of Los Cristianos, past the stylish designer shopping centres and trendy restaurants on the palm-lined Avenida de las Americas, along the promenade through Playa de Las Americas and the Costa Adeje beach resorts of San Eugenio and Playa Fanabe, passing the marina at Puerto Colon and, finish with a bite to eat in the exclusive resort of El Duque. Away from the boutiques and beaches, the region boasts several fine golf courses and the fabulous Siam Water Park. 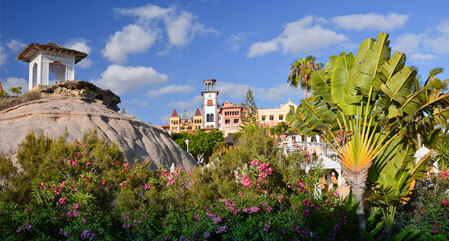 Kids will also love the nearby Las Aguilas Jungle Park, Aqualand, the Monkey Park and the Camel Park. From April until October, the Greek island of Corfu is bathed in sunshine with very little rain, but August is the generally the hottest month. This popular island in the Ionian Sea boasts one beach resort after another all the way around its coast and, inland it hides some quite attractive scenery and sleepy hillside villages complete with olive groves, vineyards and working donkeys. 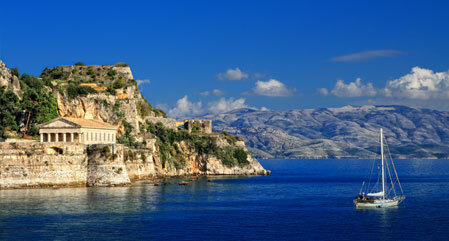 We offer holidays to Corfu beach resorts as well as to the charming capital of Corfu Town. The top resort for all-night clubbing is Kavos, which also has a great beach with watersports or, in total contrast, the scenic and peaceful resorts of Aghios Georgios and Agios Stefanos have long sandy beaches, backed by countryside. Sidari is an all-round family friendly resort with something for everyone; the picturesque fishing village of Kassiopi runs many boat trips from its small harbour and, the waters around the beautiful Paleokastritsas are perfect for snorkelling and scuba diving. Menorca is lovely and warm from May to October, with the hottest and longest days in July and August. Despite being quite a green and fertile island, there is little rain between March and September. Menorca is a very family friendly island with a seamless blend of busy and peaceful resorts, long sandy beaches and secluded coves, harbour towns and traditional working towns, good roads and green countryside. Enjoy a meal overlooking the large natural harbour in Mahon or the modern marina at Cala 'n' Bosch and; soak up the local atmosphere in the narrow shopping streets and the pavement cafes around the small parks in Ciudadella. Relax in the beautiful sheltered bay at Cala Galdana or on the long, wide sands of Son Bou; take lunch in the fishing village of Fornells and admire panoramic views from the top of Mount Toro. Turkey's Turquoise Coast boasts a warm, dry summer from March to November, with August having the hottest days of the year. The Turquoise Coast offers a wealth of opportunities from snorkelling and parasailing to boat trips around the most beautiful coastline, walking the Lycian Way and exploring many historical sites and ancient ruins. We offer holidays to all the main beach resorts and towns along the Turquoise Coast, with a wide choice of hotels and apartments catering to all budgets and ages. To stay near the famous blue lagoon choose the beach resort of Olu Deniz, the countryside of Ovacik, the lively resort of Hisaronu, the relaxed Calis Beach or, the traditional town of Fethiye. 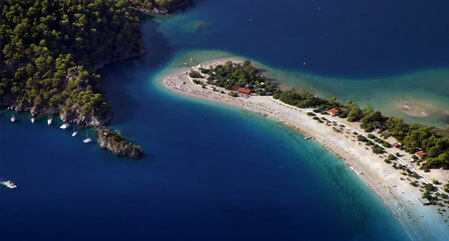 For history, nightlife and the beautiful Gulf of Gokova, stay in Marmaris or the nearby resorts of Icmeler and Turunc. Alternatively, you might choose the Bodrum peninsular for its secluded coves, its colourful markets, its charm and tradition and, a countryside of olive and tangerine groves. August is a great time to visit certain parts of Kenya as, not only is it in the dry season but, its a little cooler and, a good time to see the wildebeest migration. 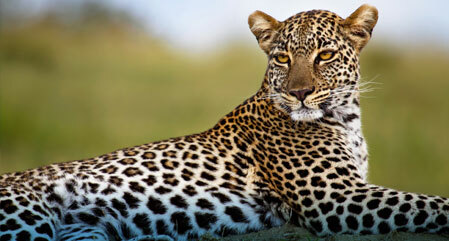 The Masai Mara National Reserve is ideal for this and, the migration of over a million wildebeest and hundreds of thousands of thomson's gazelle and zebra is one of the factors that makes it such a popular safari destination. The reserve is home to nearly 100 species of mammal and ideal for a daytime game drive or; for a mesmerising view over the plains, a hot air balloon trip is a must. The Reserve is surrounded by Maasai villages where you can learn of the culture of the Maasai people and experience their way of life. 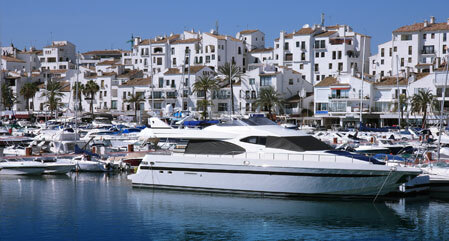 The Costa del Sol in August, June and July is when it is at its hottest and driest, with long days of sunshine. May and September are also pleasantly warm with minimal rain. Stretching from the characterful town of Nerja to the port town of Algeciras (from which you can take the ferry to Africa), with the beautiful city of Malaga as its centre-point; the Costa del Sol boasts miles of sandy beaches backed by endless golf courses and beautiful natural parks. Whether you want to laze on the beaches, enjoy the nightlife and a few rounds of golf, immerse yourself in the cultural attractions and atmospheric streets of Malaga, or stroll amid the pine forests and waterfalls of Montes de Malaga Natural Park; the Costa del Sol has plenty to offer. We have holidays to apartments and hotels in numerous resorts along the length of Costa del Sol, including the lively beachfront hot-spots of Torremolinos, Marbella, Benalmadena and Fuengirola. For peace and tranquility, try the pretty inland village of Frigiliana or, for a modern environment you might like Calahonda. For Andalusian and Moorish charm, Almunecar, Estepona and Malaga won't disappoint; golf-lovers will appreciate the location of Mijas or, for exclusivity you might like to stay at Puerto de la Duquesa. August in Sicily is the hottest month of the year and ideal for basking on the beaches. This charming Mediterranean Island enjoys mild weather all year round, with warm temperatures and dry days from May to September although, outside of these months is a better time to see the island at its greenest, a snow-capped Mount Etna, the autumn harvests and, to enjoy historic sight-seeing without the crowds. 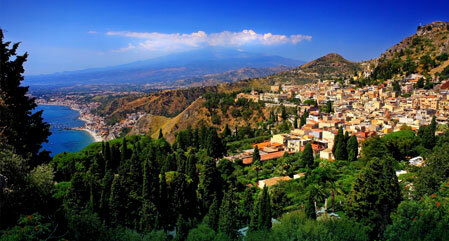 Sicily offers you in abundance, gastronomic delights, Sicilian wines, sandy beaches and azure blue waters, ancient streets and medieval fortresses, views to a smoking Mount Etna, ancient Greek and Roman archaeological sites, forest clad mountains, fertile hills and valleys of vineyards, olive and almond groves. In easy reach of the port of Messina and Milazzo (for ferries to mainland Italy or the Lipari Islands), we offer holidays in the beautiful city of Taormina and along its bay in Taormina Mare as well as the neighbouring beach resorts of Letojanni and Giardini Naxo. We also have hotels in the historic capital city of Palermo and the nearby picturesque, medieval seaside town of Cefalu.